What can you do in 7 days in Bangkok? 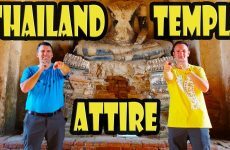 I condense a week of our Bangkok trip in to 15 minutes! What we did, saw, and ate! Bangkok is such a huge city, and the traffic is so awful that you need to carefully plan attractions near each other. This is our itinerary and the highlights of our trip! 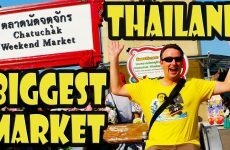 Many people advise only a day or 2 in Bangkok, but we were there for a week and felt like there was still more to see and do! Day 1: Our arrival day, we got in to BKK Airport at 10pm… so took a taxi and went to sleep! Lunch at the Thai Lounge at Bangkok airport… really good!